I want to scream, because of the anguish I feel inside right now for my people; not only in America, but in Africa as well. I often find myself wondering what life would have been like for me had not I been born in American; if my ancestors had not been kidnapped from their homes and village’s. What; I think, would be my name? I would undoubtedly be somebody totally different had I been born there; had slavery never taken place. However, this thought is wistful thinking. Dreams and visions of a forest life, far away from life in a nation which can sometimes be so callous towards their own. Black people have had it rough time here and still do, but now some of it is our own fault; because we have become beggars in our right. Instead of kings and queens we have become paupers, beggars and borrowers waiting a on a handout; it is time to move on from that, but some of us are too heavy to carry and too paralyzed to carry ourselves. Can we continue to blame it on the white people? The answer might surprise those who feel as if they too carry a burden too hard. It is difficult to comprehend when you have not the experience of being there. I cannot remember a time in life that someone I know has not needed help at some point in life; however, it is the thought that although help might be needed, is really the case that we stay there? This post is more for my brothers and sisters who want out than for anyone else reading now. It is not the case that all do not need to break free, but that all are not ready yet. There are people, both men and women who are praying for a better way of life other than government issued benefits and those are the ones who need this encouragement. I want to say that it is not the case that prayers have not been answered, but it is that prayers might have been hindered. I cannot say that help is not available; I cannot say that people don’t care, because they do. Maybe not in the way of taking people by the hand but by offering the programs in the first place, and we must understand that no one is going to do any more than they have already put it out there. It is up to us to go get it. More than going to get it, because some have gotten and continue to get and are in the same frame of mind as at the start; so, what is the problem? 1) Someone doesn’t know any better, because their parents lived this way, and so do they; hence there is no exposure to something new. 2) Someone sees this thing as a way to get what they can get “free,” doesn’t matter what it is they want it, and will put in a day’s work to get those things which are free. This includes long lines, the drudgery of monthly forms, people prying into your personal life asking very personal questions about everyone in the house. It is not the case that this person will not lie to get that thing free. 3) Someone is lazy, don’t want anything. 4) Someone wants out, has the exposure, but its taking time so they still receive the help. They are educating themselves and taking advantage of every means available to them to move to another level in their mind and circumstance. 5) Someone works but doesn’t make enough money still, but even here there is a tendency not to reach for better. Notably, #1, 4, can be helped if they reach out, but sadly, when someone hasn’t gotten up to go seek someone will not find it. In the case of all the above examples the government; along with the benefits offers help for school and daycare, jobs, now phones, but if there is no seeking, no asking then there is no help. In reality it requires an awaking. The third individual is at the place in their mind where they take “advantage” of the programs offered with the mind of self-empowerment. It’s all in the mind. I was on a class field trip once and on the van I was riding with a bunch of guys; not only a guys but young white guys, a Hawaiian, and my professor who my age. There were other women, but somehow I was the only female with all these men. At the 48 years, here I was, as old as my instructor and on bus full of kids just out of high school; or not far from it. Somehow the conversation went to the discussion of women on welfare. I know now that it was the place I needed to be, because I had no clue to what people really thought about the women who receive help. Mind you that this was no short trip so what I heard I could not run from it; nor could I turn it off. I was forced to sit there and listen to their version of how Women on Welfare give me the blues. The Hawaiian guy was very passionate about his lack of desire to put money in the pot for women who don’t choose carefully their children’s fathers. What he said was an eye opener for me because he felt that these women sleep with bums, losers who have no intention of doing anything;except use the women. Moreover, he asks, why does he have to continue to pay for children who are not his? 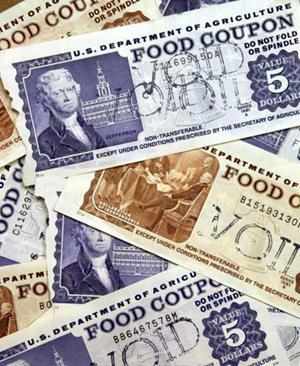 He goes on to say that it; literally pisses him off when he gets his check and he doesn’t have enough money to buy groceries and he sees women loading their baskets with junk, or the baby daddy, boyfriends putting food in and when they get to the register out comes the old EBT card. Conversely, he stated, that he has to suffer when he is sick because there is little money for doctor’s visits and then he has to pay for children; again, not his. “It’s not fair,” he added,” that me and my wife have no children but have to pay out for someone else’s”. Wow! I sat there and could barely breath, what could I say to that; isn’t he right? That some of us, Ladies, just keep having baby after baby without a thought of how we will take care of them. Or with the thought that this is more money on my check? I nearly cried when I heard it from someone else. Now, the intention of this note is not to bash, but to bring awareness of how this thing looks to some people. Are you really trying to help yourself out of poverty; or, laying down day after day with no way to feed yourself, no plan of action. If you’re not there yet, haven’t even thought about your life; please consider what this means for you. Ask yourself: What if tomorrow or even a year from now they stop all this; what will I do? This should be a consideration the next time a letter comes from the food stamp office or the welfare office sends you a letter to go to find work, or attend a class. Go to school; learn so that your kids can at least know that they can do better. If you don’t know how to read, learn now. If you just can’t do better that’s one thing, but if you are manipulating, and lying; nobody will suffer more in the end than you. It’s not too late get up! You can do it! I hope this has helped someone; at least I am encouraged. I want those who feel bad about what’s being said on the news and who watched that video with the woman excited about the free phone to know that you are more valuable than “250 minutes a month”. At least I think so. Everybody wants to know the future. It would make it much easier if we knew what was going to happen and then prepare for it…maybe even altering a bad outcome, right? Well although this may sound good it isn’t really, because we can get caught in or become dependent on the fortuneteller and pretty soon there is no more prayer, and certainly no more thoughts of God’s plan for us because all we have to do is call a 1-900 number and for a not so pretty penny know all about it. It is not only sin but idolatry…which takes place when we worship and place something else in the place that should be where God is. Horoscopes are a form of fortunetelling. 16 Once when we were going to the place of prayer, we were met by a female slave who had a spirit by which she predicted the future. She earned a great deal of money for her owners by fortune-telling. 17She followed Paul and the rest of us, shouting, “These men are servants of the Most High God, who are telling you the way to be saved.” 18 She kept this up for many days. Finally Paul became so annoyed that he turned around and said to the spirit, “In the name of Jesus Christ I command you to come out of her!” At that moment the spirit left her. (Acts 16). Medium: The Latin word medius “middle,” from which medium is derived, is also the source. Using this definition found in Webster’s Collegiate Dictionary tells me that a medium is the 3rd wheel in a three party conversation in where there’s me, the medium who speaks to who? If the spirit in which they seek isn’t God who then is it? WOW! 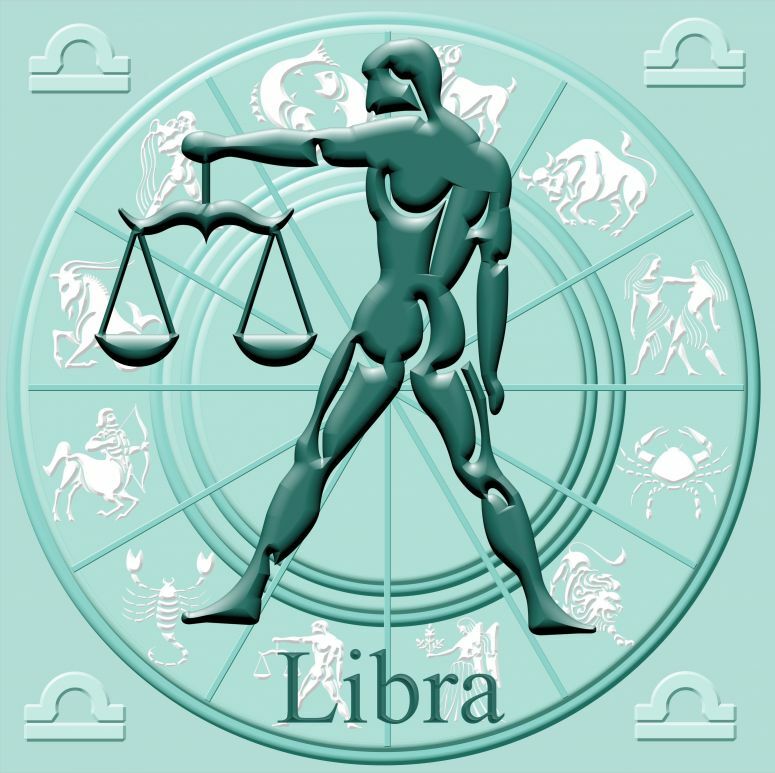 so what we see is that Horoscopes, psychics, mediums, and all other devices have these spirits of divination attached to them and can set up strongholds in your mind, causing addictions, idolatry and many other problems. The only mediator (go between) is Jesus who speaks to our Father for us crying, “Abba Father.” Go with God who knows all and sees all. Hope that helps…I really enjoy learning what thus says the Lord. Psalm 118:24This is the day the LORD has made.We will rejoice and be glad in it. “There are days when the last thing we want to do is rejoice. Our mood is down, our situation is out of hand, and our sorrow or guilt is overwhelming. We can relate to the writers of the psalms who often felt this way. But no matter how low the psalmists felt, they were always honest with God. And as they talked to God, their prayers ended in praise. When you don’t feel like rejoicing, tell God how you truly feel. You will find that God will give you a reason to rejoice. God has given you this day to live and to serve him-be glad!” (Life Application Bible Devotion). It is tempting to think you master things in our own minds, in this very little time of communion with God daily I have great revelation of what God is saying in his word for my life. I get excited every time I see something new, and praise for every bite. God says read this and sometimes I stumble onto something; and, still other times I am frantically searching out the scriptures to help me. It’s troubling sometimes this life of walking straight. So, in this walk we might be tempted to think that “this is it” I don’t ever have to be bothered again with “that thing” again, and really we don’t have to if we listen to God. Especially, when God gives his word that you are delivered from that thing that had you bound; I hear that often, because satan comes to remind me of my past and it is tempting to fret or to stay in a negative thought, however, I have learned to cast those out rather well. Again, just when you think you can’t be bothered again by “that” then he (satan) comes through someone else. I stay at home a lot and one would think if you’re home you’re safe, right? No, because satan will bring that mess to you. Reminds me of when my ex- husband came back to win me back after we had been divorced for 3 years…God said before he got there, “You’re divorced!” Sometimes God has to remind us of our place. “And he said to Him, If You are the Son of God, throw Yourself down; for it is written, He will give His angels charge over you, and they will bear you up on their hands, lest you strike your foot against a stone.” (Matthew 4:6). Now, I see that if Satan tempted God; then, he don’t care and he can put it out there but I don’t have to bite. 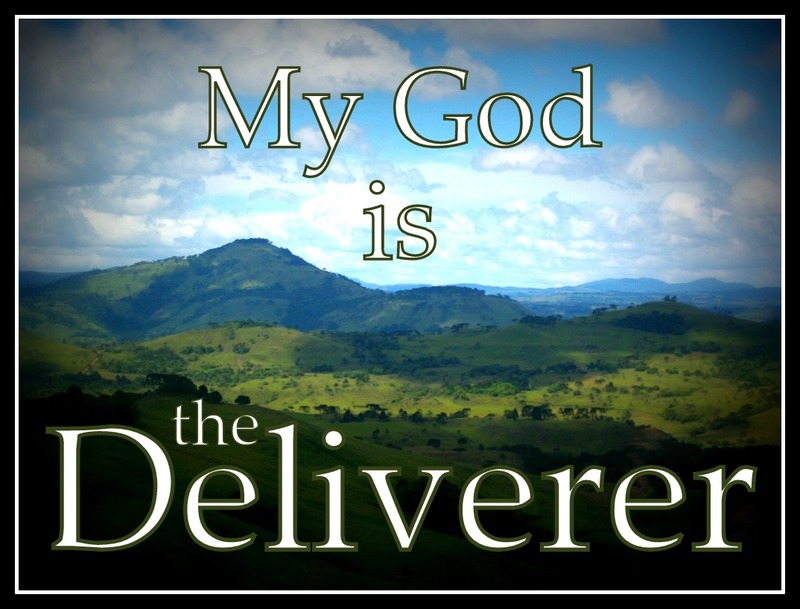 He was working those thoughts and God kept saying, “You’re delivered!” I believe it. This word is powerful. I look at the stone they speak of here…and in the literal sense it means to stumble…temptation is meant to make you stumble; if you believe it. So then, I see this word: “My son, if thou come to serve the Lord, prepare thyself for temptation.” (Ecclesiastics 2:1). Fighting for my life…I’m staying with God, and I keep on praising! ©Copyright, 2012. Letters of Hope Ministry. Kayla Dailey (2012). All Rights Reserved.